In addition to offering quality products and services, Bob Richards Chrysler Dodge Jeep RAM gladly works to support the community through a number of ways. Recently we had the privilege of working with the Salvation Army’s Center of Hope and the United Way to help aid in their work of providing for those from this community who are in need. On Friday, September 4th, we had the privilege of presenting two different checks. The first was a $5,000 check for the Salvation Army’s Operation Fund’s Center of Hope, which was accepted by Major Tony Perez. Located on Greene St. This Center of Hope location is a soup kitchen that also provides shelter for men, women, and children. Additionally, this Center of Hope location provides other social service programs for those in need. Bob Richards Chrysler Dodge Jeep RAM also took this opportunity to donate another $5,000 check to the United Way. These funds will be used to aid 47 results-oriented programs at 25 proven nonprofit partner agencies, which include budget and credit counseling, as well as health and dental services, family counseling, autism support, children’s day shelters, and emergency shelters. The check was received by United Way of the CSRA’s President LaVerne Gold. Lastly, we also had the privilege of hosting an event called the Bob Richards Round Up on October 10th. During this fun time, guests enjoyed activities that include live music, a dunk booth, a silent auction, a western costume contest, face painting, and more. Proceeds from this event also benefited the United Way, and we had a great time hosting it! 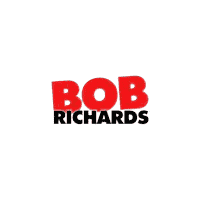 Bob Richards Chrysler Dodge Jeep RAM takes its commitment to the local community seriously and is proud to be a member that actively supports those in need.